Last year U.S. News & World Report named Santa Fe the Best 3-Row Midsize SUV for the Money, and this year the 2015 model continues to offer the same value that shoppers are looking for. 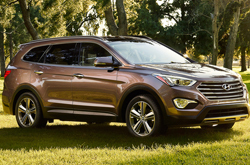 With America's Best Warranty, two unique models that offer five- or seven-passenger seating, and a choice of three peppy engines, the 2015 Hyundai Santa Fe in Arlington offers plenty of bang for your buck. Santa Fe achieves up to 25 mpg highway with a lively 290-horsepower engine, offering a great balance of spirited performance and impressive efficiency. It also shows off a well-appointed interior with convenient fold-down second- and third-row seating, which provides many ways to store all types of cargo. In addition, when it comes to storage space, 2015 Hyundai Santa Fe reviews say our guy has more cargo volume than competing vehicles like the Dodge Durango and Toyota Highlander, making it a cinch to accommodate everything from snowboard equipment to camping gear. For those who don't need a third-row seat, the more compact 2015 Hyundai Santa Fe Sport in Arlington is an excellent option. It's just the right size for your needs with seating for up to five, more max cargo space (71.5 cubic feet) than any other SUV in its class and two engine choices, which include the standard 190-hp four-cylinder and optional 265-hp turbocharged engine. Santa Fe Sport also has more airbags than competitors like the Ford Edge and Chevy Equinox, proving its dedication to keeping you and your loved ones safe. Visit Vandergriff Hyundai and choose the Sante Fe that's right for you. Both are lauded by critics, so there's no going wrong whether you select the standard or Sport model. Edmunds.com's 2015 Hyundai Santa Fe Sport review called the five-passenger variant a "bona fide standout" and it's won several awards, including a Cars.com 2014 Family Car of the Year title and spot on KBB.com's 10 Best SUVs Under 25K list. 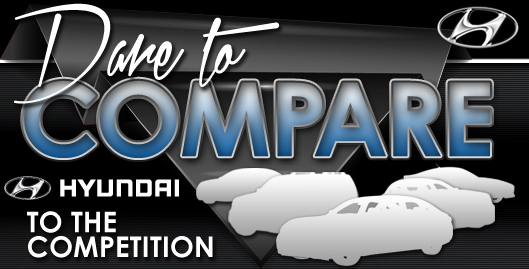 Also, along with winning a Best 3-Row Midsize SUV for the Money award from U.S. News, the standard Santa Fe was Cars.com's 3-Row SUV Challenge Winner for 2014. 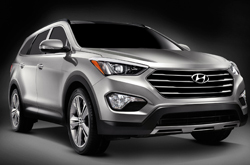 Compare Hyundai's newest model of the Santa Fe to its rivals and we're condifent that you'll choose it over vehicles like the 2015 Kia Sorento, Honda CR-V, Chevy Equinox, Toyota RAV4 and the Ford Explorer. With leading-edge cabin amenities and an exquisite design, shoppers will love the Santa Fe. When compared to the opposition, in terms of price it's clearly a phenomenal value, making it a well-liked choice among Hyundai customers in Dallas-Ft. Worth. Look over our Santa Fe Facts list; look just below this text for bullets. 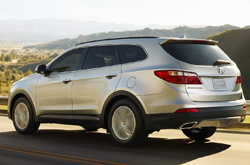 Vandergriff Hyundai is your source for 2015 Santa Fe reviews and car comparisons. With the dedication of some of the most outstanding automotive writers in the field, we've managed to get reviews produced for all of our models. Information you can trust to make educated decisions is right here - each paragraph is crammed with invaluable data and specs. Not sure if the Santa Fe? is fit for you? Check out our online research archive to read more Hyundai reviews and to compare Vandergriff Hyundai's models to vehicles from other manufacturers.